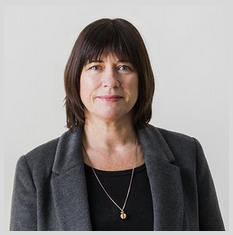 Jane Wilson joins the Royal College of Art as Senior Tutor in Moving Image, School of Fine Art this academic year. Moving Image has been a core strand of teaching in the Royal College of Art (featured in Art & Education's School Watch) for many years, and was developed into a taught pathway under Stuart Croft. Jane Wilson takes over as the School introduces a new MA programme in Contemporary Art Practice, which locates moving image, performance and the consideration of critical practice and the public sphere alongside concentrations in Painting, Photography, Print and Sculpture. For over two decades, Jane has been half of an artist collaboration with her twin sister, Louise Wilson. Their work often centres on abandoned buildings that are imbued with the presence and ideology of the original occupants. They have explored some of Europe's least accessible sites: among them, a former Stasi prison in Berlin, the Star City complex in Moscow (key site of the Russian Space Programme), and the British Houses of Parliament. In 1999, the Wilsons were Turner Prize-nominated for Gamma (1999), which continued their thematic concerns in the meditative study of an American military base at Greenham Common in Berkshire, UK, that housed cruise missiles during the Cold War. Working with photography, installation and moving image, the Wilsons are keenly engaged in investigating how we receive images and what this means in the continuing dialogue with cinema as an art form. In their practice, the moving image becomes an installation—an expanded form of cinema and lens-based media—that generates atmospheric, immersive environments to produce an immediate effect on the spectator. As Professor Juan Cruz, Dean of the School of Fine Art, notes, Jane Wilson joins the RCA at a pivotal point in the development of the ethos of the School: she brings "amazing professional expertise and art world know-how, together with a deep critical intellect and great ambition for our students." Launching in 2016, MA Contemporary Art Practice, with its studio-based pathways in Critical Practice, Moving Image, Performance and Public Sphere, extends the range of Fine Art specialisms at the RCA, both materially and also in how we consider our approach to history and tradition, enhancing our intellectual scope and enabling us to embrace and test important contemporary discourses including post-colonialism, exhibition studies and archival studies, among many others. While many artists continue successfully to evolve their work from recognised material traditions, a growing number of practitioners are now generating work rooted in more diverse and ubiquitous platforms such as the Internet, social media, institutional structures and other academic and creative disciplines. The Contemporary Art Practice programme is flexible and adaptive to new and emerging interests and potential areas of research, and is designed to work alongside the existing Fine Art programmes in an increasingly integrated and collaborative structure. Critical Practice is delivered in collaboration with MA Critical Writing in Art & Design, offered by the School of Humanities, and provides a focused postgraduate programme for artists who wish to extend and develop the critical dimensions of their practice. Moving Image, led by Jane Wilson, caters to artists using film and video, along with practitioners working in the areas of documentary, dance film and fiction cinema—artists who wish to draw upon, challenge and re-map established realms. This diversity is the new reality of contemporary moving image: it is post-dogmatic and intercontextual. Performance, led by Professor Nigel Rolfe, happens in the "here and now" and not the "there and then." Unlike many practices, wherein time is historic and the image presented is necessarily an archive or record, "being and doing" are more immediately significant in live time, and the expectation is that in the contemporary, artists are often presenting work that is not made in advance. Public Sphere is a studio-based pathway that supports artists wishing to expand their engagement with art and its publics, as well as to deepen their understanding of art's social function and its role in the formation of contemporary culture and civic life. Pathways operate within the programme as a way of supporting students to develop their practice alongside other students, researchers, and academics with whom they share some material and philosophical concerns. Pathways provide opportunities for the formation of focused peer groups and the establishment of a supportive learning framework. Applications for entry in 2016/17 have now opened. Please visit www.rca.ac.uk/applications for further information.